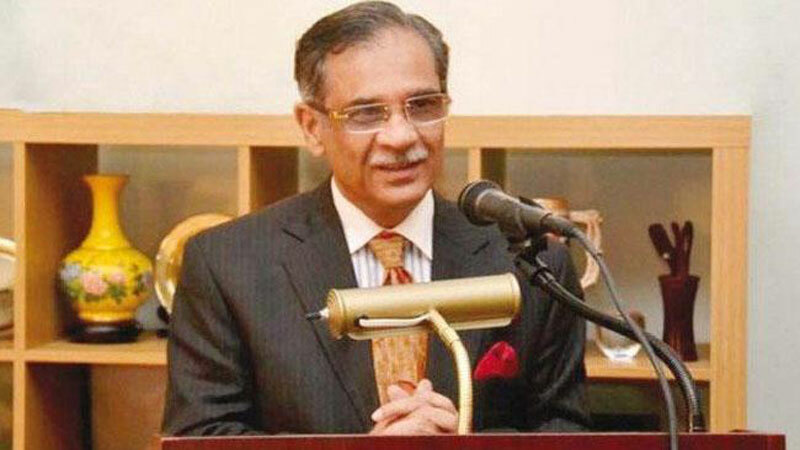 LAHORE: The police has submitted preliminary report on the incident of firing at the residence of Justice Ijazul Ahsan in Model Town to Chief Justice of Pakistan (CJP) Mian Saqib Nisar. The report says that police was alerted about the firing incident at 10.45 am. Pakistan Rangers shift incharge Naik Abdul Razaq got registered the complaint of the incident. The report says one bullet hit the upper part of the main gate of Justice Ijazul Ahsan’s house. The initial investigations suggest that the bullet was fired from a large distance. The Punjab Forensic Science Agency has sent the bullet found from the scene to the Firearms and Toll Marks Identification department for examination. During hearing of a case in Islamabad on Monday, Chief Justice Mian Saqib Nisar said there was no development as yet in investigation into the firing incidents. “I am looking into the incidents of firing at the Lahore residence of Justice Ijazul Ahsan. There is no development in the investigations as yet,” the chief justice remarked while hearing a case related to the Football Federation of Pakistan. Justice Nisar thanked the Supreme Court Bar Association and Pakistan Bar Council for expressing solidarity with Justice Ijazul Ahsan. A Joint Investigation Team (JIT) was formed Sunday to probe the firing incidents. A spokesperson for the Punjab government said the JIT will be headed by Additional Inspector General (AIG) Muhammad Tahir and comprise representatives from police, Military Intelligence (MI), Inter-Services Intelligence (IS) and the Intelligence Bureau (IB). Officers of the Special Branch and Forensic Science Agency are part of the team.